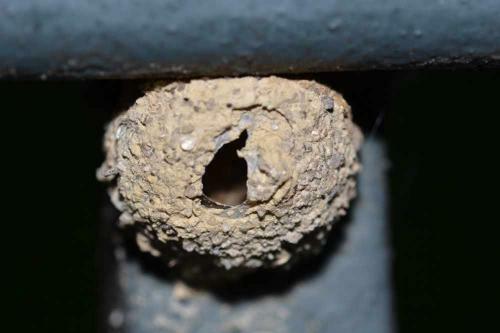 Mason Wasps have 19 species in the Puget Sound area. They nesting habitat are cavities that are 4-11 mm in diameter and 90-140 mm in depth. Blue painted structures to hold these tube will attract potential Mason Bees.